Step 1: What is your goal? Do you want to make a dramatic statement with new “hassle-free” REPLACEMENT Windows, to increase ventilation inside your home, enhance the style and beauty both from the inside and outside, and to save money by increasing your home’s energy efficiency? No matter what your goal WINDOW REPLACEMENT adds value to your home, curb appeal and a life time of comfort . . . a project that begins with a plan. Step 2: Hire a Professional or Do-It-Yourself? Some home improvement projects you can organize and manage yourself. WINDOW REPLACEMENT needs an experienced, licensed and bonded contractor to make your project a success. JBWindows is there to offer their expertise and experience in helping you select the right VINYL REPLACEMENT WINDOWS in the right color with the style to match YOUR home and budget. 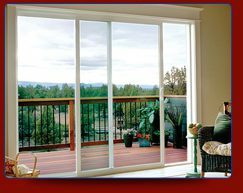 JBWindows will get the best REPLACEMENT WINDOWS AND SLIDING PATIO DOORS for YOUR home and install YOUR REPLACEMENT WINDOWS as ordered and on time! All REPLACEMENT WINDOWS and SLIDING PATIO DOORS have a Jeld-Wen limited lifetime warranty. Don’t hesitate – schedule a Free In-Home “No Pressure” appointment for JBWINDOWS to come to you. JBWindows wants to provide information, samples and educate you so you feel confident to order and REPLACE YOUR WINDOWS. The best time in Southern California to REPLACE YOUR WINDOWS is anytime! 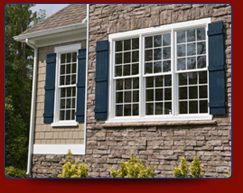 Let JBWindows show you how REPLACEMENT WINDOWS can change the unique look of your home! JBWIndows and you will discuss your contract thoroughly. The contract states which material type you selected, color, glass, type and style of window and optional features. JBWindows shows you the cost, deposit and final payment. All of the contract details will be discussed and in writing. Many of our new customers come from friends, neighbors and family of satisfied customers who are enjoying their new REPLACEMENT WINDOWS. Ask about our Referral Appreciation Plan! Copyrights © 2018 JB Window Replacement. | All Rights Reserved.